The need to use a wheelchair should not limit your access to transportation. Worry no more! SMART CARE is your wheelchair transport specialists. Our drivers are trained specifically in assisting clients that require the use of wheelchairs. Our drivers understand the needs of the wheelchair client and provide personal assistance. Whether you need help transferring from your couch to your wheelchair, tying your shoes, or assisting you with transporting medical documents to and from your doctor, our drivers are able to provide safe reliable transportation. 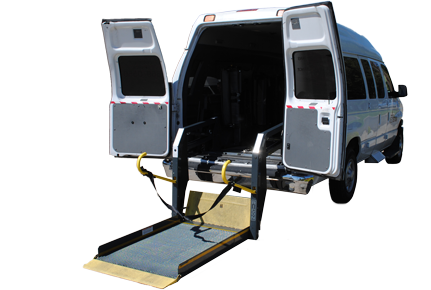 All of our wheelchair vans have hydraulic lifts, raised roofs, and a five-point restraint system for better comfort and safety of our wheelchair bound patients.